Looking for Folding Dog Pools that are Portable or a Real Sturdy Dog Pool? We have some new Ruff Tuff Portable Folding Dog Pools as well as old favorites plus some real cool Bone Dog Pools no matter what size your pooch is. We even have some options for felines too! 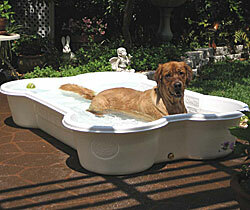 The warm weather is here and doesn’t your dog deserve a nice swimming pool too? Dog swimming pools come in many shapes and sizes. Some are even the shape of a dog bone! And there’s so many types. For example, Some come in 3 sizes for your puppy. The Portable Alcott Mariner PVC Lining Inflatable Dog Swimming Pool comes in 1 size but can hold 2 female German Shepherds (See our review below and where to get more info and/or purchase). These dog swimming pools are great. They are portable, durable and some even fold up to store away in the colder months. Your dog will love it! 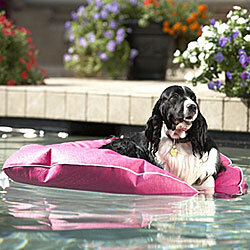 Six New Portable Dog Swimming Pools…And Some Built To Last! Pop Up Pet Swimming Pool Dog Cat Bathing Tub Portable Foldable Washing Basin Dia. 26"/36"/48"
In The Spotlight: Not Just For Dogs: Introducing The Cat Swimming Pool With A Twist! Amazon Associates Disclosure: C. A. Saucier is a participant in the Amazon Services LLC Associates Program, an affiliate advertising program designed to provide a means for sites to earn advertising fees by advertising and linking to amazon.com. 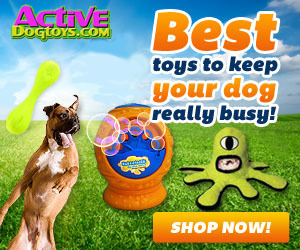 Built to last and a big Indestructible Dog Toy for your pooch! KOPEKS Outdoor Swimming Pool Bathing Tub - Portable Foldable - Ideal for Pets - XL 63" x 12"